There is a new start line area for this year's half marathon in Earl Street, at the junction with Broad Street. You should make your way to the start area at 9.30am. The line up area in Earl Street is for runners only. Please walk down Greengate Street from Market Square towards the Ancient High House museum, take the walkway at the side of the museum past St. Mary's Church turning right onto Earl Street. 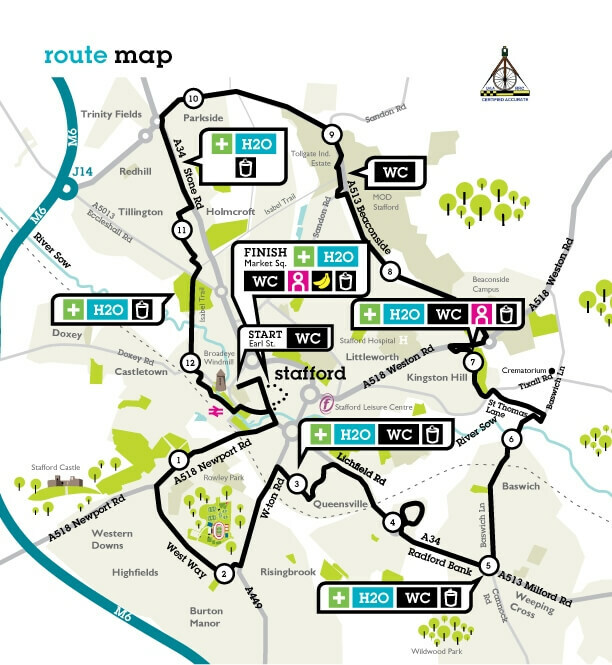 Alternative routes to the start line up area include Mill Street or through Guildhall Shopping Centre. Please DO NOT attempt to walk up Mount Street to the start line.